From multicolored leaves that litter the ground, to small sachets of our favorite candies and chocolates, early fall and the Halloween season have easily recognizable attributes. But did you know that certain elements may also be educational? Whether you are searching for a carving pumpkin, a decorative gourd, or a pie pumpkin, your neighborhood farmers’ market or supermarket will likely carry them. Before you set out to buy your pumpkins, ask your student to estimate the cost per item. You can also decide the maximum amount you are willing to pay. Once you arrive at the farmers’ market or supermarket, challenge your child to determine the maximum number of pumpkins you can buy. These steps, as well as allowing your student to be the one who pays, can effectively exercise math skills. Children in late elementary or middle school may be more inclined to trick-or-treat with their friends than to explore the educational upside of a pumpkin — but if your student loves history, this activity may just capture her interest! Encourage her to research the history of the pumpkin, which originated in the Americas, and to present it in a creative manner of her choice. For example, perhaps she decides to build a diorama that illustrates the “Three Sisters” growing method for corn, pumpkin, and squash. Or perhaps she translates this history into a poem or song. Younger students — particularly those in preschool and kindergarten — can practice their counting skills with this math game: Parents can hide miniature pumpkins throughout the home and/or yard (the pumpkins can be artificial or real, though relatively durable pumpkins are best). 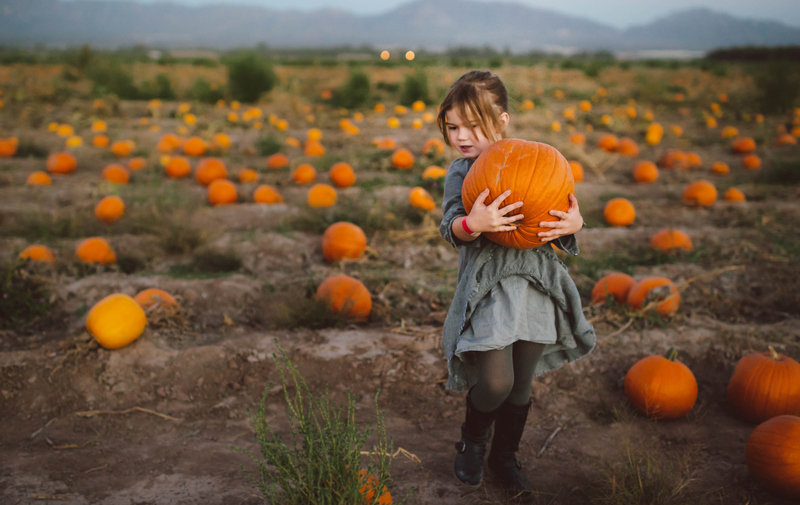 Tell your child how many pumpkins there are in total, and then ask her to find them. As she locates each item, she can update her total, and when she believes she has found them all, she can count again to be certain. This activity is also an excellent way to stretch critical thinking and problem-solving skills. The most common use of pumpkins on Halloween is, thankfully, also educational! Sketching a jack-o-lantern pattern on a pumpkin and then carving it requires both an active imagination and fine motor skills. Students in high school who are interested in engineering may even find unexpected applications, such as the balance between an intricate design and a structurally unsound pumpkin. Very young children can enjoy the same benefits and avoid the risks of working with knives and scissors by painting pumpkins. Glitter and metallic paints can add an additional layer of fun to the activity.